Ever since I can remember as a little girl, and even now, I have the most vivid dreams! I used to call my parents into my room so I could share them with them. I NEVER forget the dreams, which are so interesting. I wanted to write a song about the whole experience. 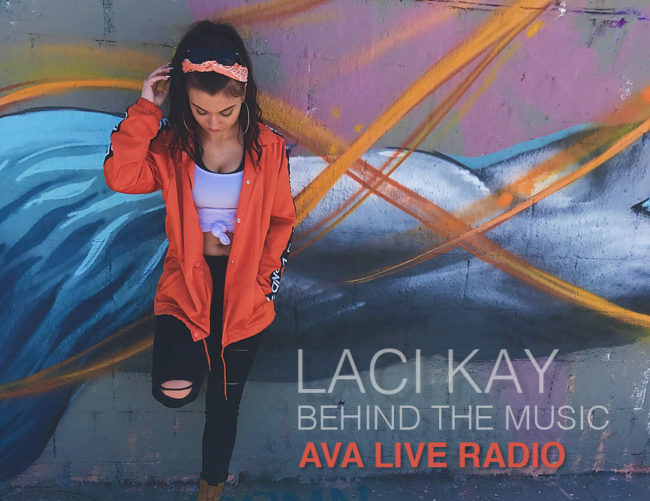 Laci Kay, The Italian Dutchess, as she likes to call herself, is a 19-year-old recording artist, songwriter, actress, TV host and model who has performed at many venues in LA , Las Vegas , and New Orleans. She has been seen at The Avalon, Whisky A Go Go, House of Blues Anaheim & New Orleans, Spaghettini’s Dave Koz Lounge, Infusion Lounge, Universal City Walk, The Federal, Naya on Sunset, ​The Dragonfly Lounge,​The Varsity LA, V Lounge, Sofitel Hotel, Busby’s East and The Queen Mary to name some. Recently she performed in Las Vegas at the Cashman Center and Caesar’s Palace! 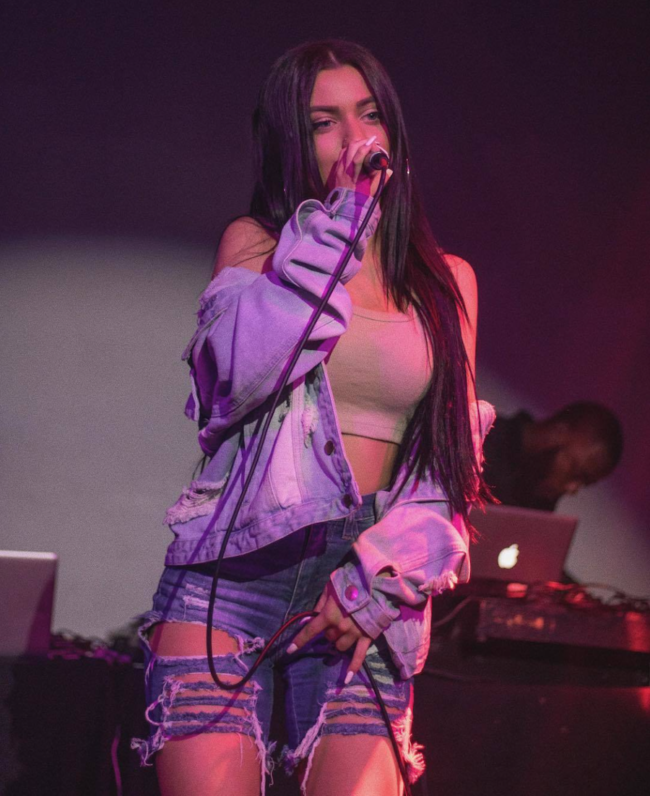 For 2017, she was excited to have had a three-month residency performing at a casino, she was a featured performer at the Mesa Music Festival, and she will start 2018 out with a bang as one of the coveted 40 bands performing at SpringBoard West Music Festival and Conference in January at Ocean Beach in San Diego, CA! In 2015, Laci was nominated by the LA Music Awards for Best POP Artist of the Year. In 2016, she was nominated for three categories by the Ventura County Music Awards. 1) Best POP Artist 2) Best Female Artist 3) Best Music Video for #Runnin’Free . The awards show was on September 9, 2016, and she walked away with a win for Best POP Artist in Ventura County! This year she is nominated for two awards – Best R&B and Best Music Video. She won the coveted 2017 Rising Star Award. On March 3, 2017 her new song “LONG WAY HOME” with Noah Neiman and Jay Bombay featuring Laci Kay on the vocals came out. 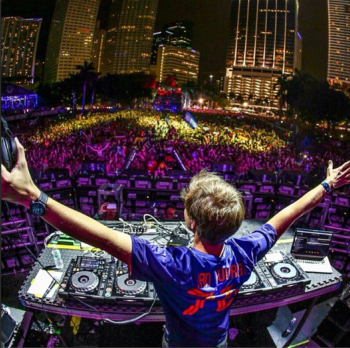 It is an EDM song and it already has over 383K plays on Spotify including the 2 remixes!! Their 2nd song #HoldOnToLove came out on Spotify and all music outlets!. So far there is 146K plays on Spotify! Favorite music or success quote? To be excellent at anything, you first have to be really bad at it. I was told I would never make it as a singer, for instance! 1) Focusing on getting my sound at its best, because I need a distinct sound, and lately I really feel like I know what that needs to be. 2) I’m very focused on my health and nutrition, which is extremely important due to my very fast-paced life. I can only do my best if I am mentally and physically sharp. What are 3 things you’ve learned in 2017..
1) Making mistakes is OK and completely normal! 2) You have to put yourself in uncomfortable positions and allow yourself to do the inconvenient things that you don’t want to do because the Greats of this World had to do those things for people to believe in them. 3) You need a solid team because you can’t do this by yourself! What are you most looking forward to this next year? : Getting on many Spotify lists and planning my world tour! Typically inspiration hits me at different times throughout the day. I am constantly writing new lyrics daily. Laci just finished recording with the OC Hit Factory and super music producer Thomas Barsoe. They finished her new EP #INCONTRAMI. Laci wrote most of these six original music songs. The EP was released on September 25, 2017!! Her song #EyesWideShut was chosen by AVALiveRadio to be on a #NewMusicMonday upcoming show! 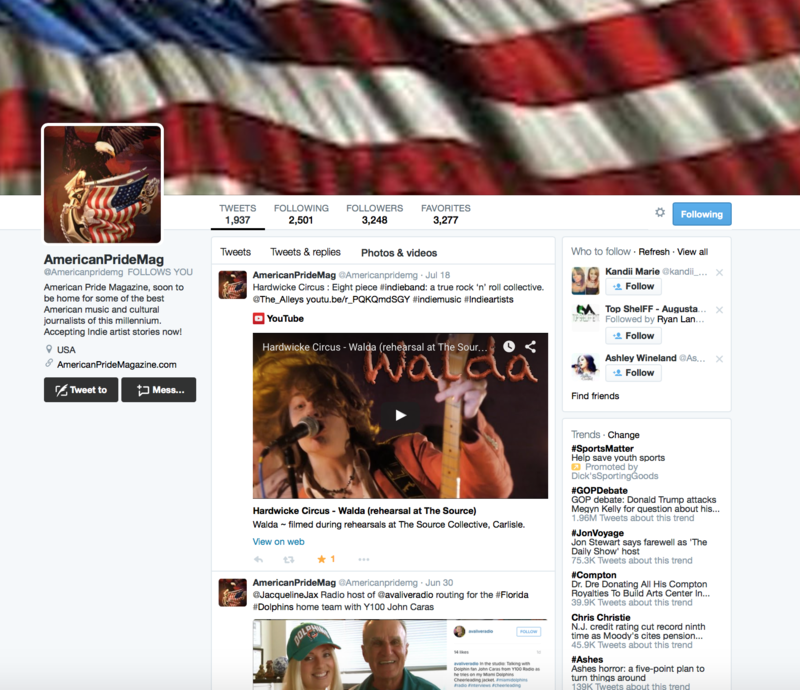 Her single “Runnin’ Free” released the video on May 31, 2015 for viewing. It has a very good PSA story line in it that Laci wrote herself along with the song lyrics. The song was produced by seven-time Grammy nominee Haskel Jackson. The video is at almost 39,000 views on YouTube! We have just been notified that it was picked to be played on Girls Talk TV channel on the show Women In Music and TOP Ten Music Videos. Laci won the 2016 Best POP Music Video from the LRT Music Video Awards for “Runnin’ Free”! The music video for “Rejected” was released June 1, 2017 . The single is out for purchase on all music outlets! In addition to music, Laci began an acting career at age 7 when she played young Christina Aguilera in her music video “HURT”. She has since been in over 43 movies/TV productions and she hosted a one-hour talk show called ActorsE CHAT (24 episodes). She interviewed celebrities and found out all about them . One of her most famous TV scenes is from Modern Family where she plays Cam’s Featured Music Student. If you haven’t seen this, you will! Hilarious! Laci has also been nominated several times for her acting by THE YOUNG ARTISTS AWARDS and The YOUNG ENTERTAINER AWARDS. She was so excited to walk away with the win in 2017 for the Young Entertainer Award for her role in “A Father’s Love”! If you’ve heard of the Wendy’s Baconator or Wendy’s So Fresh commercials, you may have caught her on your screen in her two national commercials for them. She also was just on the Freeform show #The Fosters! Early in 2018 look for her starring role in the Film #Sweet16, directed by Nomi Fenandes, which brings awareness to #HumanTrafficking. She worked along side some very famous actors, including Brian Goodman, Slain and Jay Giannone. When she is not working on her music or filming, she is very involved in several charities. She is the Texas-born president of Kids Against Animal Cruelty https://www.facebook.com/Kids-Against-Animal-Cruelty-Texas-503762916332599/ and is excited to recently be working on a regular basis with several other charities: Britticares, Cystic Fibrosis Foundation, and P.A.C.E. Ever since I can remember as a little girl, and even now, I have the most vivid dreams! I used to call my parents into my room so I could share them with them. I NEVER forget the dreams, which are so interesting. I wanted to write a song about the whole experience. They are always exciting like a sci-fi movie or animation, and I really believe that it is because I am an artist and feel emotions so deeply. Coupled with my condition called Synesthesia (seeing music in color) and these dreams, I tried to communicate through song one of the many dreams I had. This one is about myself and a significant other in my life that I want to take on this journey with me. Typically inspiration hits me at different times throughout the day. I am constantly writing new lyrics daily. I believe in the power of collaboration, so I like writing with others too. I constantly hum melodies that typically find a way to work with the lyrics I wrote. Usually a song comes out of that. I love the piano because the proper chords will shape any song to sound dope. Well my parents had all kinds of music playing in my home while growing up, so they definitely have a part. My mom likes Christian and country and my dad likes old time rock-n-roll, classic rock, and jazz. So almost any band you mention, I not only know who they are, I also know the words to their songs! Pretty crazy for a 19 year old! The Beatles and Michael Jackson are my iconic go-to’s, but my faves, Kanye West, Sza, and Rhianna, rate super high in my books! I live in the LA area. I spend most of my time writing, recording, hanging with friends, and prepping for shows. I also love working out.